Linen Fabric Bedspread - Bespoke Bedspreads in Linen Fabric. 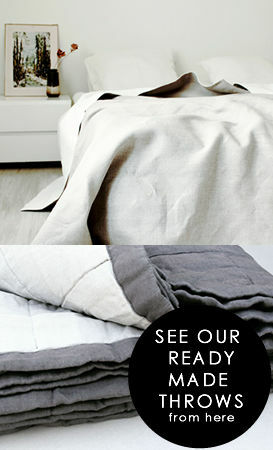 Ada & Ina's Bespoke Bedspreads are made of 100% Natural Fabrics. Please browse our wide range of fabrics and select the fabric you would like to use for your made to measure linen bedspread or cotton bedspread. Free Fabrics Samples - Order your samples here. We now also have ready made Bed throws!